This week we honor our volunteers; an integral part of Pennsbury Manor. Volunteers have had a tremendous impact on the site from the moment this program was first started. Our program currently consists of approximately 190 volunteers with diverse backgrounds and interests. We have history buffs, retirees, families, interns, people who love crafts, and many more! As volunteer programs go, we have a unique program where we offer volunteers a custom experience. They choose their schedule and what activities they want to pursue to help at a site that tells a very important story in our nation’s history. The average total number of hours put in by volunteers over the past few years is around 13,500 hours a year! 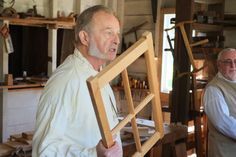 The Pennsbury Manor programs that visitors love do not happen without our volunteers. We are truly grateful to have such a dedicated and passionate group! In honor of Volunteer Week, our volunteers were asked to write a little something about their volunteer experience at Pennsbury and why they volunteer. A large portion of our program is made up of retried teachers. Many of whom brought their classes here for field trips in the past. One such former-teacher is Bonnie Post: “Growing up in the Gettysburg area helped shape my love of history. 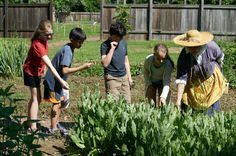 As a teacher for over 30 years working with 3rd and 4th grade students helping them to learn what it was like to live in this area over 300 years ago, led me to schedule many field trips to Pennsbury Manor for them to have a “hands on” experience. Always impressed with the educational experience and the professionalism of the tour guides on site, I knew that when I retired, this was something that I would love to do. Bonnie Post in period clothing next to the barn. Ann Scherer using a drop-spindle to twist the wool into yarn. Another mother-daughter duo who volunteer their time during Roleplay Sundays are Cheryl Neas and her daughter Toni Mohn. Cheryl talks about their experience as members of our Living History Theater, who perform short shows on various topics and events that happened in Penn’s colony. Some of the more popular programs are The (Witch) Trial of Margaret Mattson performed at Trick-or-Treats at the Manor in October and The Mummer’s Play performed at Holly Nights. “I have been volunteering in the roleplay living history program since late 2002, soon after I moved to Bucks County. I had moved here when I got married after living closer to Philadelphia; the volunteer activities I had there were getting tougher to fit in from the longer distance and after a visit to Pennsbury Manor I was interested in spending time here. The roleplay program appealed to me because the evening and weekend times fit my schedule and because, unlike answering phones or filing, it involved work unique to Pennsbury and taught me a lot about local history, and was different enough from my day job in public policy that it would stay fun and not feel too much like work. Since I completed volunteer training in October, my first activity was Holly Nights. I was supposed to make my debut with a small part but the person playing Hannah Penn was running late and since my assigned part was one the play could do without I got switched to Hannah Penn, even though I had to read off the script! Jo-Anne Wilson handing out candy at Trick-or-Treats at the Manor. Thank you to the volunteers who have shared their stories and thank you to all of Pennsbury Manor’s volunteers for everything that you do! You are true “Friends” to the site. Happy Volunteer Week!